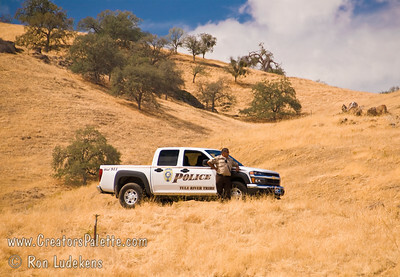 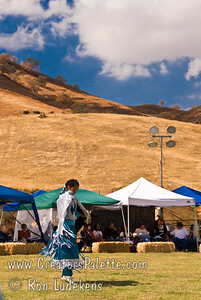 It was invited to join a project to photograph for preservation and archival purposes the historic photos and documents of the Tule River Indians. 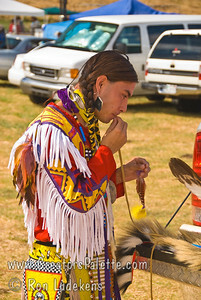 On one of those working days, I was privileged to observe a day of the 2007 Pow Wow and get to meet many fine people with Indian heritage and culture from around the country. 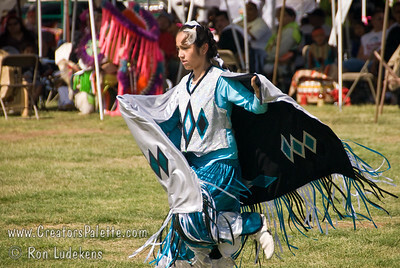 This is an event I highly recommend to everyone to witness. 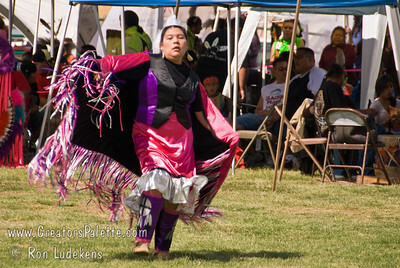 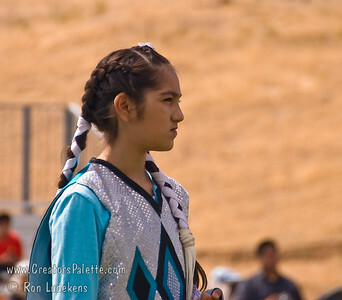 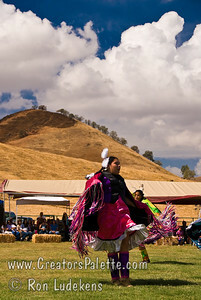 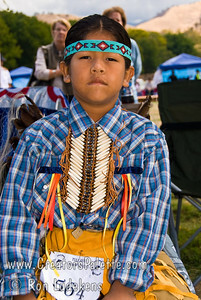 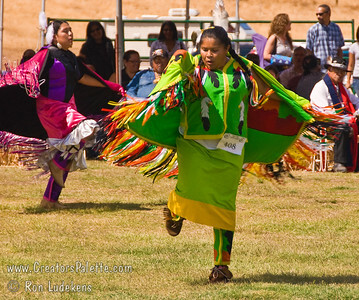 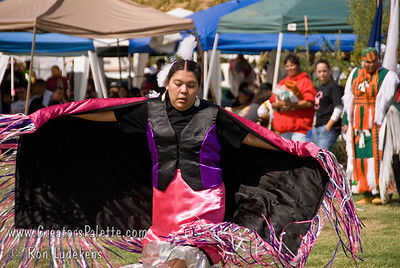 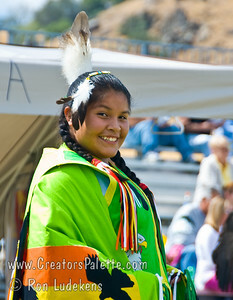 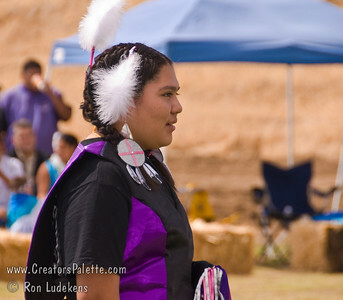 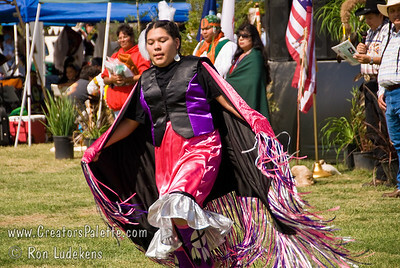 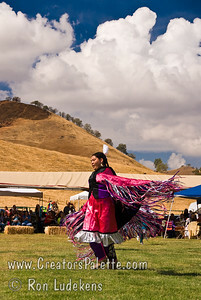 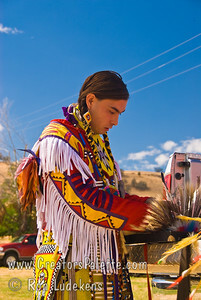 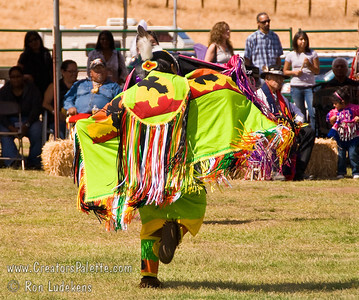 Photo taken at Tule River 2007 Pow Wow on September 22, 2007 at McCarthy Ranch, Porterville, CA. 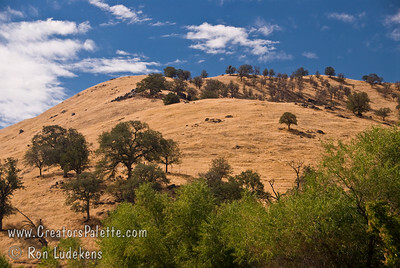 Beautiful start to the day (before the rains came) and golden hills behind the venue. 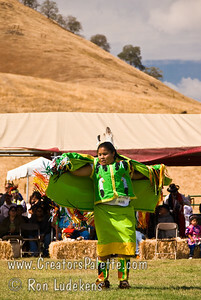 Photo taken at Tule River 2007 Pow Wow on September 22, 2007 at McCarthy Ranch, Porterville, CA. 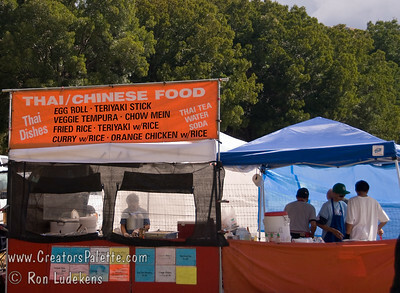 Interesting cultural contrast having Thai food booth at Indian Pow Wow. 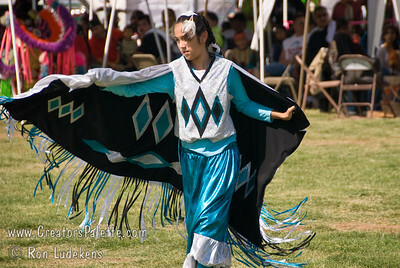 Photo taken at Tule River 2007 Pow Wow on September 22, 2007 at McCarthy Ranch, Porterville, CA. 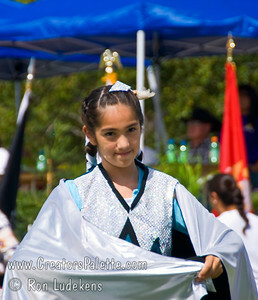 Shy-La Brook Franco - Junior Princess contestant. 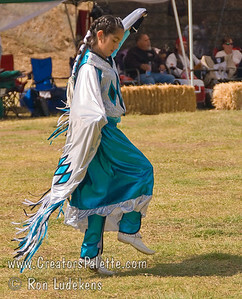 Photo taken at Tule River 2007 Pow Wow on September 22, 2007 at McCarthy Ranch, Porterville, CA. 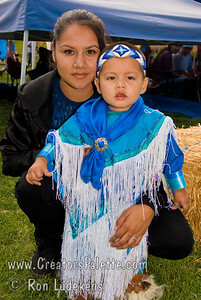 Mandy Soto and son David. 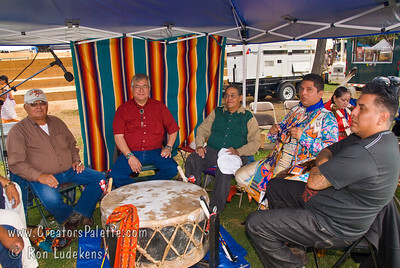 Photo taken at Tule River 2007 Pow Wow on September 22, 2007 at McCarthy Ranch, Porterville, CA. 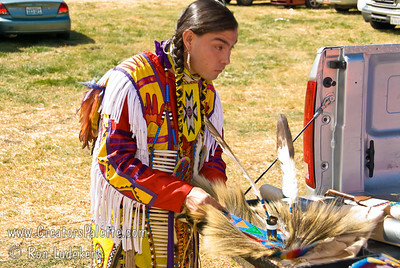 Host Drum. 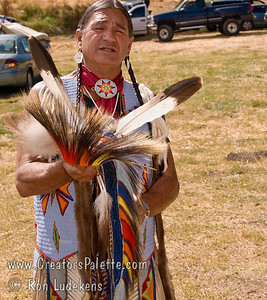 Head Southern Drum - Southern Comfort. 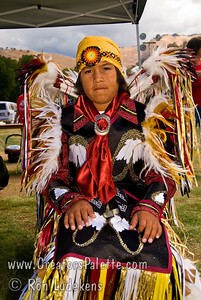 Photo taken at Tule River 2007 Pow Wow on September 22, 2007 at McCarthy Ranch, Porterville, CA. 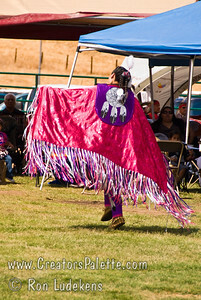 Introduction of Tule River Pow Wow Princess Contest contestants. 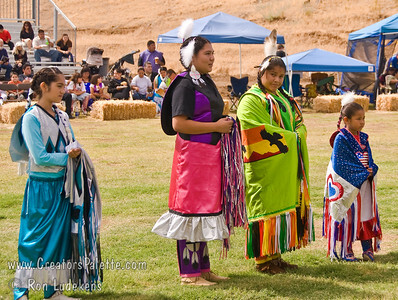 From left: Shy-La Brook Franco, Alicia Lopez Hunter, Valerie Williams, Weliyah Baga. 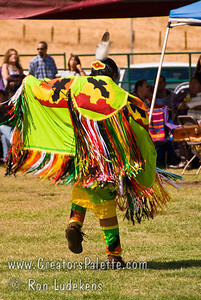 Photo taken at Tule River 2007 Pow Wow on September 22, 2007 at McCarthy Ranch, Porterville, CA. 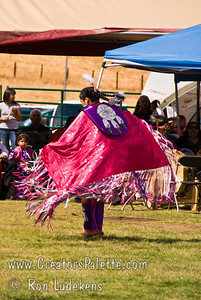 Introduction of Tule River Pow Wow Princess Contest contestants. 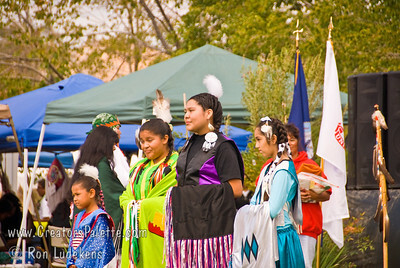 From right: Shy-La Brook Franco, Alicia Lopez Hunter, Valerie Williams, Weliyah Baga. 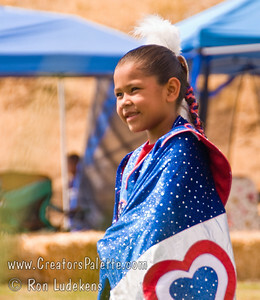 Photo taken at Tule River 2007 Pow Wow on September 22, 2007 at McCarthy Ranch, Porterville, CA. 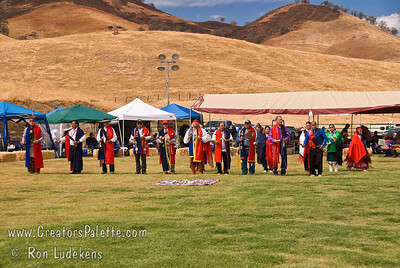 Introduction of Tule River Pow Wow Princess Contest contestants. 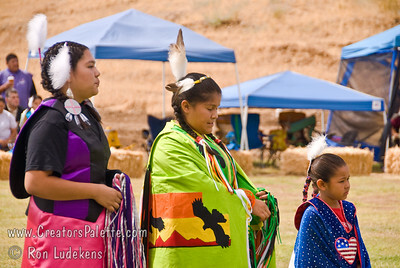 From left: Shy-La Brook Franco, Alicia Lopez Hunter, Valerie Williams. 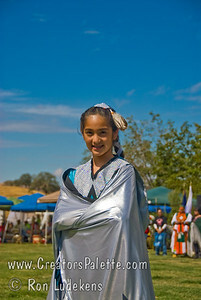 Photo taken at Tule River 2007 Pow Wow on September 22, 2007 at McCarthy Ranch, Porterville, CA. 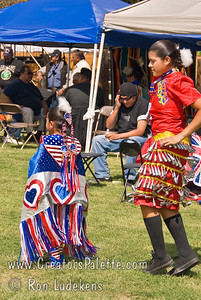 Shy-La and Kiana Franko doing inter-tribal dance. 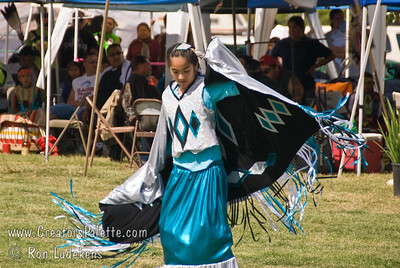 Shy-La is dancing Fancy. 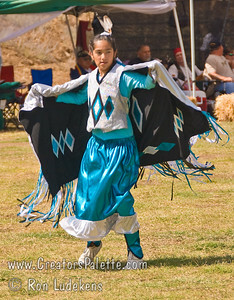 Kiana is a Jingle Dancer. 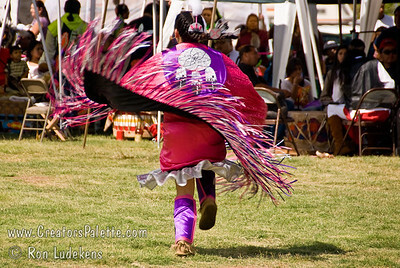 Photo taken at Tule River 2007 Pow Wow on September 22, 2007 at McCarthy Ranch, Porterville, CA. 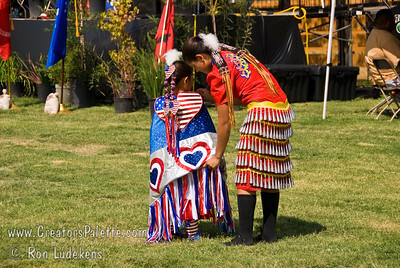 Shy-La and Kiana Franko. 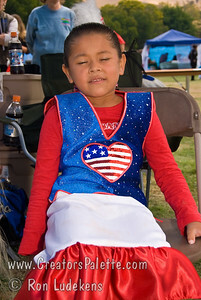 Shy-La a contestant in Junior Princess contest. 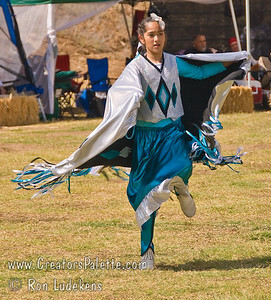 Kiana is a Jingle Dancer. 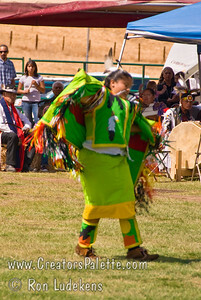 Photo taken at Tule River 2007 Pow Wow on September 22, 2007 at McCarthy Ranch, Porterville, CA.